Poet's Notes: There are two types of ears. The embryonic development of the head ear consists of aspects specific to auditory function. The heart ear, however, remains undeveloped in utero and largely undeveloped in most cases throughout life. In fact, studies have recently indicated that heart ear development is retarded by excessive auditory stimulation. Advanced heart ear development has been observed in cases of lifelong meditative practice, and regular experiences of quiet, most often in natural environments. 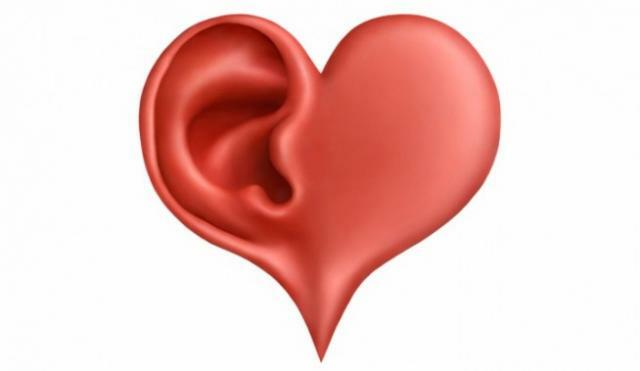 Editor’s Note: Although the “heart ear” is a product of the poet’s imagination, there is an interesting connection between heart and ear. Curious? Follow this link http://www.healthline.com/health/heart-disease/ear-creases#Overview1.